While the topic of construction might feel a little dry and technical, when viewed the right way, it’s rich with potential for captivating stories. Marketing through storytelling lets you build rapport with your target clients and bring in business in a way no advertisement can. The stories you tell about your business need to do more than just state facts. 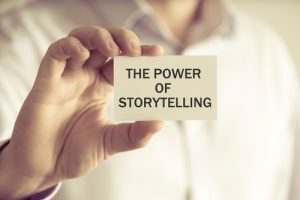 Successfully marketing through storytelling takes stories that connect with your target clients on an emotional level. To do that, focus on the human side. Any significant event in your firm’s history can work as a marketing story. For example, you might take your audience through the adventure of refurbishing that old house that won your firm an award from the state Remodelers Council, then explain how you can use the same skills to help your future clients. When you’ve chosen your stories, you have to tell them in a concise and compelling way. Video is a good bet if you have enough footage, but photo essays and even well-formatted blogs posts can do the job. Share your stories on your blog, your social media accounts, and in your email newsletter. 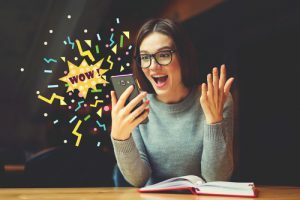 This kind of content holds attention while building an emotional bond, making potential clients more likely to see your team as relatable people they want to connect with. Ultimately, your clients want to know what you can do for them. There are few more powerful ways to show them than by sharing the stories of your most satisfied clients. By talking about your clients’ goals and challenges, and how they used your services to overcome those challenges and reach their goals, you show your would-be clients what’s possible for them. Find a few of your best clients who are willing to communicate their stories through in-depth interviews, photos, and video. Make your clients the heroes of your marketing stories and you can spread the word about your skills while also building a deeper connection with your audience. 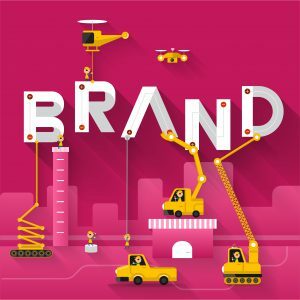 Social media is a valuable tool for getting your construction firm found in online searches, but the way it helps isn’t necessarily obvious. To make the most of social media in your effective SEO strategies, you’ll need to use a little creativity. If you search Google for “commercial real estate market trends,” chances are you’ll be more inclined to click on a link from Forbes than one from some site you’ve never heard of. You’re naturally drawn to sources that seem relevant and reliable. Search engines algorithms account for this and boost the ranking of links that see high click-through rates. Staying active on social media can help improve your firm’s name recognition to get you those rank-boosting click-throughs. Posting your own content isn’t enough, though. Get out and interact with your target audience by liking, sharing, and commenting on their posts. Interacting with large, influential accounts also helps get your name in front of a wider audience. While search engine algorithms might not count social shares directly, evidence suggests they do consider overall engagement, which shares are part of. 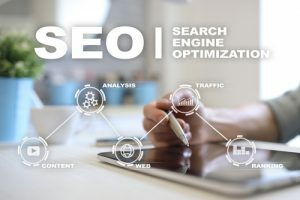 That’s why effective SEO strategies involve encouraging shares by adding social sharing buttons to the end of blog posts, using apps that turn blocks of text in a post into instantly sharable links, and inviting readers to comment and share. Including images optimized for your preferred social platforms helps, too. Getting backlinks from authority sites is one of the most powerful ways to boost your search engine ranking. Used strategically, social media helps get your content in front of industry leaders and experts who will, if all goes well, link back to your site. Attracting attention from influencers is often as simple as mentioning them in your own posts. You can do this by sharing their content with thoughtful commentary, sharing quotes from their blogs or just by thanking them for a blog post you enjoyed. Few types of content are more sharable than infographics and in the data-reliant construction industry, you’ll never be short of topics to cover. Developing an infographic marketing strategy, however, takes a little planning. To find compelling topics for your inforgraphics, consider which subjects are popular among your blog readers and the kinds of issues your existing clients often want to discuss. By addressing your ideal clients’ most pressing concerns, your infographic will not only get your current follower’s attention, but will be shared more often, too. Shares extend your audience reach, increase your brand awareness and authority, and help your website rank higher in the search engine results. If you specialize in prefab houses, you might create an infographic called Tfends in Prefabricated Construction. If you’re targeting commercial real estate developers, an infographic with data on profitability in commercial real estate might work well. Creating an infographic to attract more attention to one of your best lead-generating blog posts is also an option. Your blog is an integral part of your infographic marketing strategy. By itself, an infographic is unlikely to bring you any leads. What it can do, however, is draw your prospects to your blog to learn more about the topic covered. Along with your infographic, develop a related blog post that expands on the data and concepts covered in the infographic. While infographics are highly shareable, getting the initial word out takes some effort. Start by sharing your infographic on your social media accounts and asking your friends to share it from there. Don’t be shy about contacting bloggers in complementary fields, such as architecture or real estate development, to let them know you have content their audience might benefit from. On your own blog, include an embed code with your infographic to make it easy for other bloggers to publish your infographic with a link back. Having a clear picture of the type of person who’s likely to hire your construction firm makes it a lot easier to reach that individual in the real world. 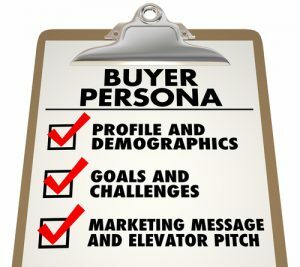 To do its job, though, a buyer persona must be accurate. Using hard data on your ideal clients’ demographics, psychographics, behavior, and goals is the most effective way to ensure your buyer personas reflect reality. Data from construction market research firms offers a starting point. This can tell you things such as the ages and income brackets of the average commercial real estate investor. The more valuable data, however, will come from your own customers. Start by analyzing data your already have, such as information from your sales history, CRM system, website analytics, and reviews. If you need more data, client surveys and focus groups can help you get it. To learn more about your ideal clients’ online behavior, such as which blogs they read and which forums they post on, take some time to browse their social media profiles. Interviewing your sales team can also turn up some interesting insights. Chances are, there are several distinct types of people who hire you for construction work. Cramming all your data into one buyer persona for your entire company will only give you a muddled image that represents no one in particular. Instead, break down and organize your data to create buyer personas that sound like real people with specific backgrounds, lifestyles, and interests. Your ideal remodeling client might be a newly married 30-year-old software developer who needs space to grow a family. On the other hand, your commercial real estate investor persona might be a 50-year-old accounting firm owner looking for more freedom in his life. For even greater accuracy, develop several personas for each type of service your offer. One of your remodeling personas might be a newlywed while the other is an older empty-nester. 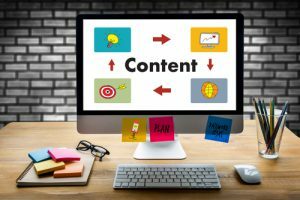 Content marketing is an effective, affordable way to bring in construction leads online, but it only works if you publish content people want to read. With good content planning, you’ll have the flexibility and foresight you need to develop material that attracts the right audience and wins over clients. Planning ahead gives you time to create in-depth, thought-provoking content in a tone that resonates with your target audience. You’ll be able to research for interesting, useful facts, interpret data, and expand and structure your own thoughts on your chosen topics. Valuable content like this garners links and social media shares, and positions you as an expert worth doing business with. By thinking ahead three months to a year, you’ll have a chance to publish seasonal content at the optimal times. When your potential clients want to know how spring rains and thaw might affect their construction project or whether it’s possible to build a house in winter, your content will be there to advise them. Content planning helps ensure address your audience’s concerns and interests. When you post the first thing that comes to your mind, you risk rehashing the same topics over and over. Planning prevents that by giving you a bird’s eye view of the topics you’ve covered and plan to cover, so you can spot anything you’ve been belaboring or neglecting. 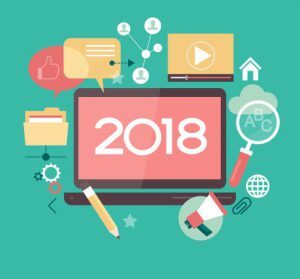 Take some time to list blog and social media post ideas for a few months out and you’ll no longer have to scramble for something to write about at the last minute. The content production itself will be easier, too. When you have content themes in mind ahead of time, it’s a simple matter to repurpose your old content to create something that fits your theme. Because you’ll always have something cued up to go out, you’ll be able to publish consistently to build and maintain an engaged audience.